The Universal Tao is a practical system of self-development, giving students and practitioners inner and outer resources for enhancing their lives. Tao Yin, an integral part of the Universal Tao system, provides fundamental training of the body, mind, and spirit using yogalike postures. In the Universal Tao we practice a combination of lying, sitting, standing, and moving practices that mutually support one another. The resulting synergy creates a strong foundation for mastering the full gamut of the internal arts. 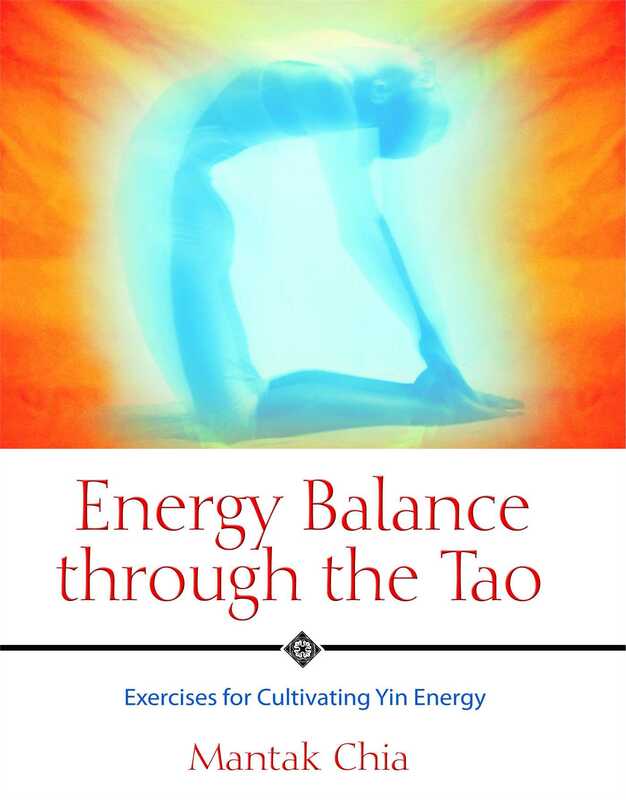 The Tao Yin basic exercises in this book are lying and seated practices that open the body in ways that, for the most part, can only be done on the floor or on a comparable surface. A mat is recommended. In fact, Tao Yin is a form of moving exercise and meditation that is extremely valuable in its own right, but is also designed to enhance the rest of the Universal Tao practices. Tao Yin is an important part of the Taoist system as a whole. It is a form of moving meditation that relaxes the body, opens the meridians, and clears the mind. The ancient Taoists discovered the vital importance of working with all of our internal resources and the importance of being able to tap into that wealth of potential within. Many practitioners of Tai Chi, Chi Kung, and the martial arts use Tao Yin as a way to open the body in order to move with more internal power. Begin these movements from your lumbar area, not from your head, neck, or shoulders. Moving from the head, neck, or shoulders is the most common error made by students new to Tao Yin. Remember, the movement begins in the lumbar area (the Door of Life) and gradually moves up the spine and ends with the neck and head. Because for many people this is a new way to move, it takes concentration to do these exercises correctly. Tucking the chin to lock the neck will help the head to follow, rather than lead, the movement. You may find it helpful to have someone assist you when you are beginning. Have your partner touch your spine to make sure it is straight. Your helper can also gently guide your body to help you learn how to rotate from the lower back. Before starting this exercise, take a minute to feel your spine. Locate your lumbar area and rotate just the lumbars without moving your neck or shoulders. Put your hands on your lower back and feel the movement you are making. Separate the lumbar area from the rest of your body. Make sure your head and shoulders don’t move as you rotate your lumbar area; they should be merely resting atop the lumbar vertebrae and just “going along for the ride,” like on a merry go round. As a result of the movement at the lumbar spine you should be able to see the ribs moving separately from the pelvis. As you practice this exercise, think of a peacock. The male peacock is proud of its fanlike plumage, with its many hues and the eyes on the individual plumes. The peacock struts and halts, and with a show of suppleness it slowly turns its neck from the lower part upward, smoothly and section by section, to admire its multi-eyed and multicolored tail. As you practice this movement, be a justly proud peacock moving with regal grace. 1. Push up, right knee forward: Begin by lying face down, your palms beside you at mid-chest. Push through your arms to raise your upper body, then bring the right knee all the way forward on the mat. Adjust your hands so that they line up even with the forward knee. 2. Lower down, move right: Tuck your chin to lock your neck, which will help you to keep the head, neck, and spine in a straight alignment. Beginning the movement from the lower lumbars, slowly lower the upper body until your abdomen lightly touches your right thigh. Remember that your spine should remain straight throughout this movement. Now, keeping the spine straight, initiate a slow sideways movement from the lumbar area. Move the upper body horizontally to the right side above the right thigh. Feel each lumbar vertebrae open. 3. Twist right: Begin to slightly twist your lumbars toward the right and upward, one by one. Your hips remain almost parallel to the floor. When the lumbars are fully twisted, rotate the thoracics and then your shoulders. Let the neck and head follow until you are able to see your left heel. Do not move your head or your upper body first to be able to look at your heel. Keep your spine straight and don’t cheat if you can’t see the heel. Make your lumbars feel rubbery and soft. Eventually you will become more flexible. "A superb supplement to exercise and health regimens, offering ideal exercises for warm up and cool down during workouts." "This book is recommended for those who are comitted to the integration of their full beings. No half beings need apply."